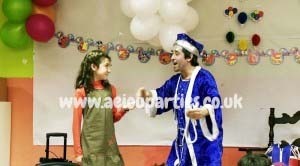 Children’s Birthday Party Entertainers in London of AEIOU Kids Club are a group of committed kids birthday entertainers in London that are especially trained to transform your birthday party into the most perfect event in London. We have everything to make it happen in all circumstances. Asides from making birthday parties we also plan community events for kids of all ages. For sure AEIOU Kids Club is the best children’s party company in the area and we ensure real entertainment in every party or event, from the smallest to the largest. With our children’s party entertainers in London and our fantastic Kids party activities in London your party’s success is 100% guaranteed! Our children’s birthday party entertainers in London go everywhere in the area including Croydon, Redbridge, Waltham Forest, North West London, South London, Notting Hill, Greenford, Rainham, Seven Sisters, London City, West London, Ickenham, City of London, Kensington and Chelsea, Chingford, Stratford, Lewisham, and more. For sure our Kids birthday entertainers in London are the best of all! 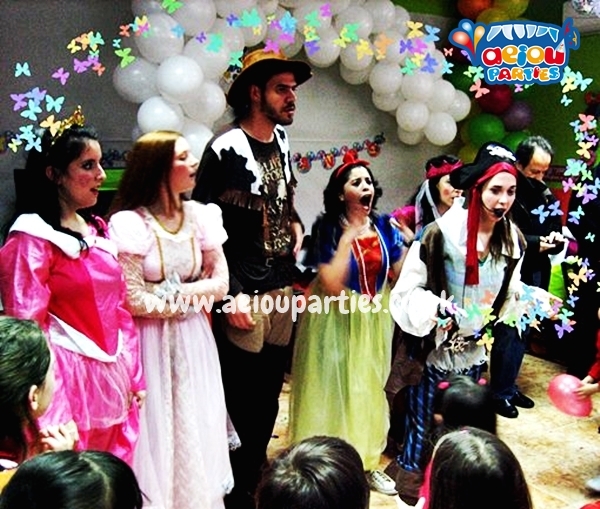 In fact, AEIOU Kids Club not only offers you fantastic children’s birthday party entertainers in London, but also the best children’s party packages that will make from your party a really outstanding event! Take a look at the party’s entertainment we have at your disposal and to our kids entertainers for birthday parties! THE CLASSIC – For birthday parties, weddings, communions, community and corporate events, this package is just perfect assuring your kid’s entertainment, doesn’t matter what age they are. 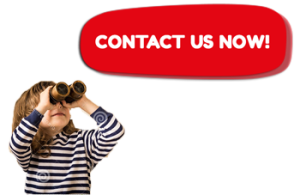 We are high quality team of children’s birthday party entertainers in London that can adapt themself to every kind of situation and we have the necessary knowledge to ensure your children’s fun and entertainment. Hiring this party package you will bring to your birthday party: music, games, singing, dancing, face painting and balloon modelling. All of this at low prices. Contact us and don’t miss a thing! THE CLASSIC + THE SCIENCE SHOW: Usually putting together fun and knowledge is out of our minds, especially in our kids’ birthday party. Well… But what if I tell you that your kids will be learning without they even notice with our kids birthday party entertainers? Oh, Yes! An interactive science show with lots of experiments to make your children’s birthday party really amazing! THE CLASSIC + PUPPETS OR STORYTELLING: This is the ideal party package for the youngest. An incredible puppets show that tells a beautiful love story that will make all of you fall in love with these little puppets! The kids will be able to participate on the show so they usually interact a lot with it. Besides you still have right to all the classic activities I have mentioned before and our Children’s Birthday Party Entertainers in London. THE CLASSIC + MAGIC: You can have a glorious magic show at your birthday party just by hiring this party package. Our professional magicians will bring to your birthday party all the enchantment of the world and you still have all the other activities within the Classic Party package. Do you still have any doubt? Don’t hesitate to contact us. THE CLASSIC + BUBBLE PARTY: Giant Bubbles around all kids! The fun is guaranteed with this package especially planned for kids from 2+. In the end all kids will be literally soaped! CLOWN SHOW: Clowns always fill kids’ eyes and hearts with happiness! Our clowns for hire will make all of you laugh a lot with their constantly falls and they actually will fail a lot. They also sing and dance (so much talent! )… Well… Let me be honest with you. They don’t really sing and dance, but at least they will try! 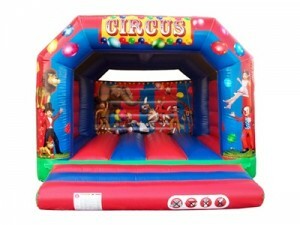 CHALLENGER: Especially thought for children with more than 8 years old, this party package will bring to your birthday party many challenging indoors and outdoors activities and competitions. The fun is guaranteed and besides it they will learn some important social skills like team work and overcoming problems! DISCO PARTY: Bringing a real dance floor to your birthday party is now possible with AEIOU Kids Club! Our children’s birthday party entertainers in London are committed to make your home into a true Disco! Dance and dance one more time! If I still haven’t convinced you we have more to offer you! Your kids will enjoy glittery tattoos and fashion make up! YEAH! PAMPER PARTY: If you are planning a girls party this party package is perfect for you! A full girls’ day with hair styles, glittery make up, nail polish and guess what! A catwalk performance and training! Let’s talk about it? Contact us for email or phone and we are able to give you everything you need to make your party memorable. 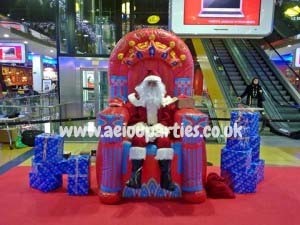 THEMED PARTIES: Do you want to have a birthday party that kids will never forget? We have the secret formula! An outstanding birthday themed party! We have so many options that it is impossible for us to tell you all of them here, so contact us for complete info and details. But for now I can tell you that we have superheroes, pirates, princes, princesses, wizards, witches and much more! Our Children’s Birthday Party Entertainers in London are truly talented! ENTERTAINMENT + MAGIC: A full 30 minutes magic show is waiting for you and our magician too! 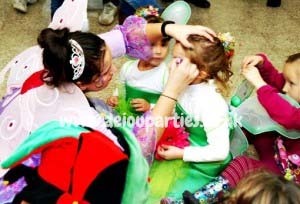 Perfect for kids for 7+ this party package will really enchant all of you! It counts with energetic activities too to ensure the entire entertainment of your birthday party together with our London Birthday Entertainers for Kids! FROZEN PARTY: Queen Elsa and the Princess Anna entered into your hearts and souls since the beginning (let’s be honest, we all fell in love with them, right?). This party package includes singing, dancing, games, a lot of magic and the best part is the presence of these two enchanted characters. 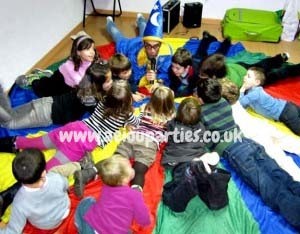 Our Children’s Birthday Party Entertainers in London are simply great! WORKSHOPS: Are you thinking about making some crafting? We have the perfect solution for you! We have many options like modelling balloons’ workshops, magic tricks’ workshops, face painting, arts, crafts, cooking and sports’ workshops too. If you have some other ideas please let us know and our Children’s Birthday Party Entertainers in London make it come true! PROFESSIONAL MAGIC SHOW: There is nothing like a full interactive one hour magic show (or more if you like!) with professional magic circle registered magicians to make your party into a real show! It will leave your kids delighted and you are going to be delighted too for sure! 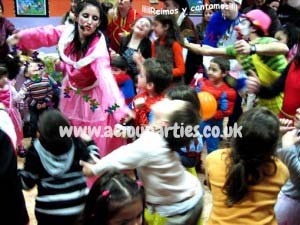 AEIOU Kids Club has at its disposal a fantastic group of children’s birthday party entertainers in London that will going to make your party into a true mark in the parties’ history! Lots of music, funny games, beautiful and excellent quality costumes, entertainment and committed Birthday Party entertainers for kids are guaranteed to your birthday party in order to ensure everything goes for the best! It includes clown shows, magic shows, puppet shows, storytelling sessions, games and lots of funny activities. and all your party essentials! All of our children’s birthday party entertainers in London are carefully selected through many castings and trainings to ensure your birthday party is just perfect. In fact, they are really the best professionals in the area and there are not professionals with more passion than ours! 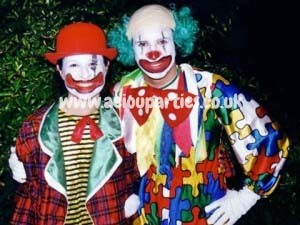 Our kids birthday party entertainers in London are DBS checked, professional and they love what they do. Among them there are actors, performing students, childcare workers and school teachers with lots of experience in enthral kids for all ages. Our philosophy is ensuring that your little one is the centre of all attentions (not us!). Organizing fun and dynamic activities were planned carefully to make sure that your child will have the best day of her life. We not only entertain children’s birthday parties, but also schools and nursery’s events, community and even corporate events. 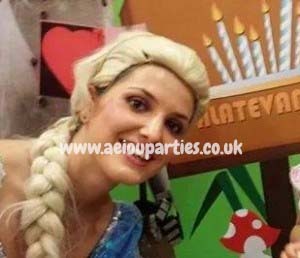 Our AEIOU Children’s birthday party entertainers in London have everything you need to make your party truly amazing and I assure you there is no other professionals able to make your kids’ dreams came true. If you need we can also offer our services in Manchester, Liverpool and Birmingham. Just ask for it by contacting us! Well, we have many more birthday party services to offer you, that’s because the options are infinite! See our special prices, keep in touch and together we can make a fantastic party for your little one. 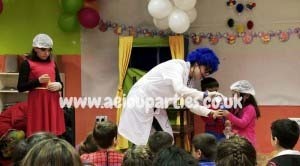 Our children’s birthday party entertainers in London will do everything to make it astounding!